Stay comfortable at the ideal temperature all year round even in large rooms with this energy-efficient, Portable Air Conditioner. 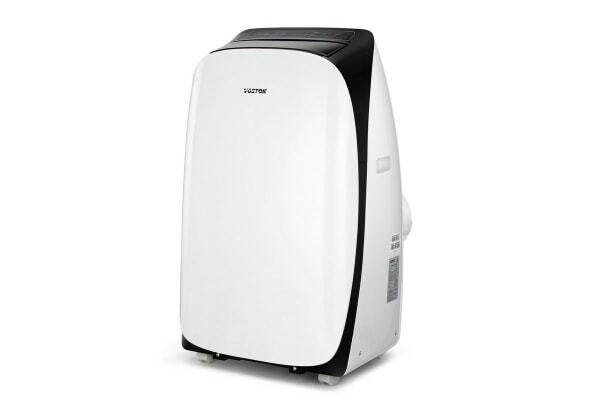 Functions as a 4-in-1 – heats, cools, dehumidifies and has a fan function too! The versatile Vostok 14,000 BTU Portable Air Conditioner not only helps you beat the heat in style in summers, it also keeps you warm and cosy in winters! 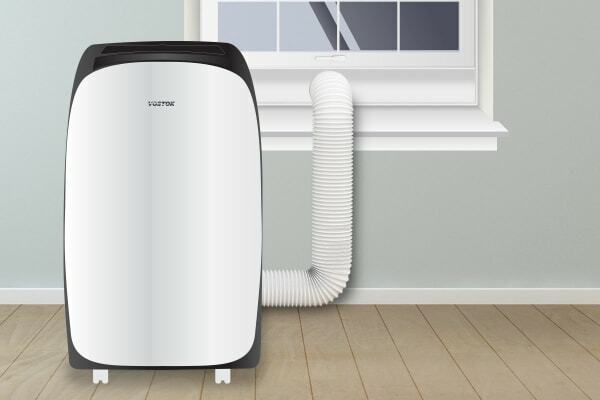 With 4 different functions of cooling, dehumidifying, heating up to 32°C in the colder months and circulating air with its fan, this reverse cycle air conditioner is indeed a smart choice! This stylish looking airconditioner adds elegance to any room that you wheel it along to! 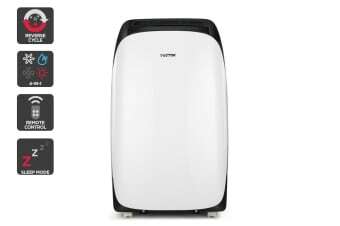 Its 4 wheels and durable outer casing let you easily push it from room to room to create the perfect temperature anywhere in your home! Can be set up with ease! The perfect replacement for expensive split systems that are complicated to set up and require technicians, this cost-effective unit is absolutely easy to set up with its window kit (included). Designed to offer the ultimate convenience, this air conditioner just requires you to select the desired temperature and the rest is taken care of! It also features a handy remote control that lets you operate it without stepping down from your bed or couch.